Dragonflies are one of those creatures that captivates everyone's imagination. Even if you see them all the time, you have to pause to appreciate one. Their elegant wings, slender body and iridescent surface makes them unique and beautiful. 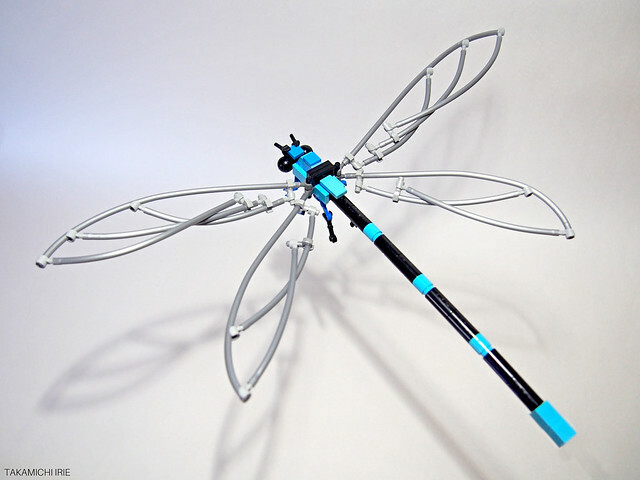 Speaking of beautiful, check out this dragonfly by Takamichi Irie, with some incredible flex tube work on the wings, gorgeous!